Great water and absolutely amazing home created from top of the line new materials & vintage reclaimed wood make a bold and beautiful statement! Salt water pool, huge screened porch, patio w/ large screen TV & outdoor kitchen set the stage for fun and entertaining. 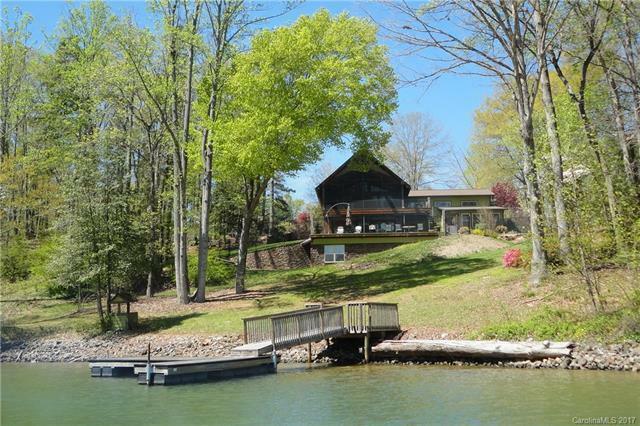 Big views and boat dock await. Vaulted ceiling is exposed wood, flooring of wide reclaimed pine, custom doors of reclaimed wood plus poplar shake siding on the porch are a WOW! Too many features to list, please visit property website.